I’ve never been one to have allergies. But I’ve got them this year to the point that I spent yesterday in bed with a hanky, benadryl, and the remote control. In between blowing my nose and taking short naps I noticed that daytime television is not a fit woman’s best friend. Women with perfect bodies pop up between fast-food commercials that are designed to make your mouth water. I could either find myself drooling over a big, juicy burger or hating myself because I don’t look like the women I’m seeing ion television. And media doesn’t stop there. I can find temptation on the pages of My favorite magazines, cookbooks, and Pinterest pages. And the air-bushed models could cause me to look at my arms, legs, or buttocks with disgust. So what’s this sick girl to do? Should I turn off the television to avoid temptation? Should I close the magazine so that I’m unable to compare myself to someone else? Not only would that have been boring but it’s unrealistic. Everyday I am going to be tempted to eat what I know I should not eat. And I am always going to see women who are prettier, stronger, and leaner than I am. The only thing that I can do is consistently eat the best of God’s provision along with obeying God’s word by not comparing myself to others. I’ve got to choose over and over again to be the best me! I love to read books on nutrition and fitness but, to be completely honest, most of them are as boring as can be. I currently read a book that must have been this doctor’s final thesis. Honestly, it’s that boring! Educational but boring! That can’t be said about A.J. 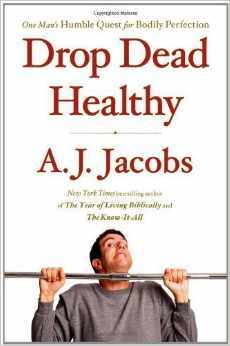 Jacobs Drop Dead Healthy. Jacobs journey from couch potato to fitness is entertaining and educational. He makes me laugh out loud while bringing attention to subjects that I’ve given very little thought such as eye and hand health. Really, he has an entire section on our hands! If you are in the process of aligning spirit, soul, and body then this is a book that I’d highly recommend. If you use Amazon to purchase your books then please click on the picture above and follow the link. Goal setting. I think setting goals might be the most difficult discipline in your pursuit of aligning spirit, soul, and body. But without goals or to use the more spiritual word vision, we will not find success in any area of our lives. I’ve been working on one goal for almost two years and wanted to share with you this small moment of success. Two years ago I decided that I wanted to eliminate all processed foods form my diet. I began this quest with giving up consuming sugar on a daily basis and have worked my way to the point that sugar is an occasional treat to be shared with friends and family. 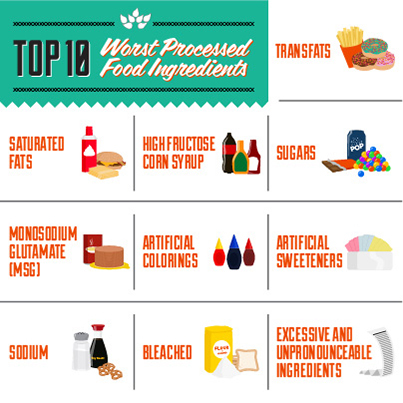 Then I choose to give up most packaged foods and the convenience that comes with them. It took almost two years to work my way down to eating only tortilla chips and granola. I think tortilla chips were the hardest because salsa needs them! Now I’m trying to go totally processed free. I’ve given up my sugar, wheat, tortilla chips, and granola! The one thing I don’t know how to give up is my protein powder. I’ve convinced myself that I need that after my workout when in reality I could carry something with me. Other than that, I’ve only eaten what can be picked, slaughtered, or caught for the last three days. I’m not doing this to lose more weight (although I won’t complain if I do). I’m doing this to discover if I can be stronger, healthier, and happier by eliminating these foods and focusing on the foods that God gave us in Genesis. I’m going to do this for six weeks. I’ll keep you updated! You know me, I’ll probably even throw you a few one day “processed free” challenges while I’m doing this. Onto another topic. I’ve always heard people say that they are managing their diabetes or high blood pressure. Please remember that managed is not cured. Managed diabetes or high blood pressure will result in health problems in the future. If you have diabetes or high blood pressure, please, please, please do everything within your power to overcome these diseases by changing your diet, adding exercise, and reducing the stress in your life. I heard a door slam during the middle of the night. Startled I jerked my head from my pillow to hear better what was going on in our living room. Just as I looked up the shadow of a man seemed to walk through my bedroom. Startled and terrified it took me a moment to realize that it was Hank. Apparently he had gotten up to go look at the Blood Moon & eclipse. It took me about 45 minutes to calm myself enough to fall back asleep. Needless to say I got up on the wrong side of the bed. And the day only got worse….. I won’t be spending my tax refund on the fantastic vacation I had planned because I found out that I’m not getting a refund but had to pay Uncle Sam and New Mexico. For the last three weeks the post office has been holding my mail but they were able to deliver a cancellation notice from my insurance company. So I got a cancellation notice but didn’t get my Netflix movies! GRRRRRRRR – I’ve been grumpy all day. I tried taking a nap but couldn’t sleep. I thought about french fries and a coke to comfort me during this stressful day. Deciding against that, I did the one thing that would guarantee that I’d feel better – I went to the gym and worked my arse off! I left all of my frustration on the gym floor in the form of sweat and I no longer had the energy to be grumpy. And, to be honest, I was quite proud of myself because I’d chosen to burn calories instead of consume them. Now, I’m tired and ready to climb into the right side of the bed. Warm up with box steps.